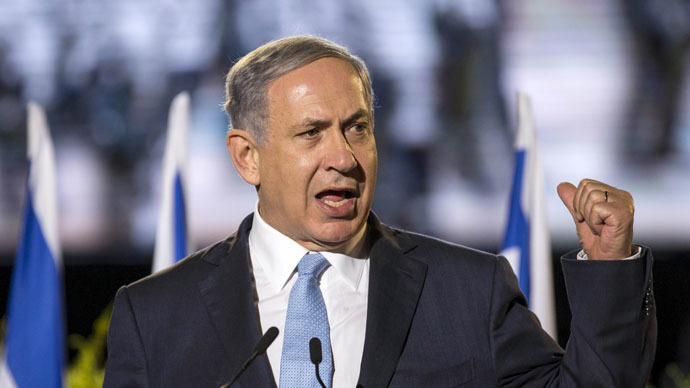 Israeli Prime Minister Benyamin Netanyahu has attacked the UK’s National Union of Students (NUS) executive committee for passing a motion to boycott Israeli goods. He branded its policies inconsistent after it rejected a call to embargo Islamic State. The NUS’s top committee voted to boycott Israeli goods on Tuesday in solidarity with the boycott, divestment and sanctions (BDS) movement, which aims to exert economic pressure on Israel over its actions in Palestinian territory. Netanyahu said the NUS were hypocritical for banning Israeli goods while refusing to embargo the Islamic State (formerly ISIS/ISIL). “This is less than a year after they refused to support a boycott of ISIS,” Netanyahu said in a meeting with Canadian Foreign Minister Robert Nicholson in Jerusalem. The NUS motion – an amendment of an original titled “Solidarity with Palestine” – was passed Tuesday with 19 votes in favor, 14 against and 1 abstention by the union’s elected national executive committee. The Solidarity with Palestine movement is designed to put economic pressure on Israel to change its policy and acknowledge its actions in Gaza. During the summer of 2014, Israel’s Operation Protective Edge caused the death of more than 2,000 Palestinians. The year before, however, the NUS decided not to boycott the Islamic State over fears that it would induce Islamophobia. Following the vote, the Union of Jewish Students accused the NUS NEC of “playing politics” and not connecting with students at universities to engage properly with the issue. “Once again, the NUS NEC have passed a policy supporting the boycott divestment sanctions (BDS) movement. This is the second time in under a year that this debate has been had. The motion passed with 19 votes for, 14 against and one abstention after a heated debate,” the Union of Jewish Students said in a statement. However, the BDS movement in reply said how important student support was. “Supporting the boycott, divestment and sanctions (BDS) movement is one of the most important steps that student unions internationally can take to stand in solidarity with our struggle for freedom, justice and equality,” the BDS website reads.